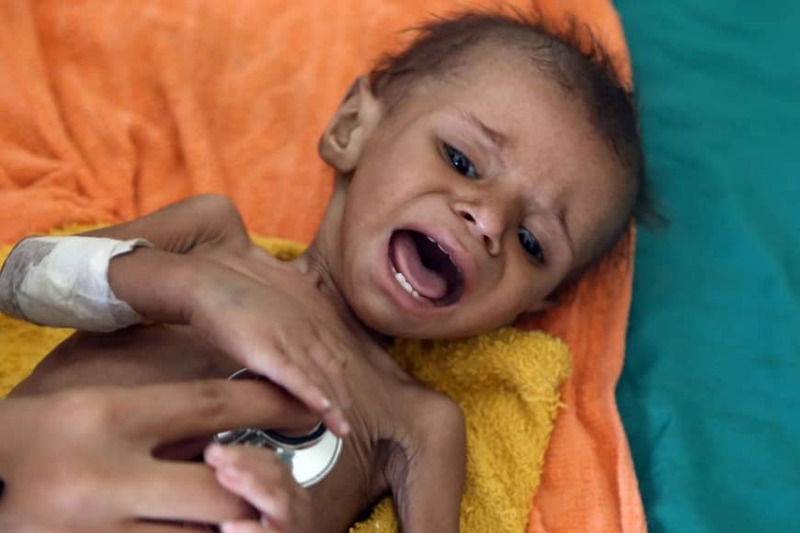 DUBAI, UNITED ARAB EMIRATES/ADEN - An estimated 85,000 children under five may have died from extreme hunger in Yemen since a Saudi-led coalition intervened in the civil war in 2015, an aid agency said on Wednesday, as the U.N. special envoy arrived in Yemen to pursue peace talks. Western countries are pressing for a cease-fire and renewed peace efforts to end the disastrous conflict, which has unleashed the world’s most urgent humanitarian crisis with 8.4 million people believed to be on the verge of starvation. Since seizing the southern port city of Aden in 2015, the Arab coalition has faced a military stalemate and has been focusing on wresting control of the main port city of Hodeida to weaken the Houthis by cutting off their main supply line. So far there has been no halt to fighting in Hodeida, despite an announcement by the coalition last week that it would stop military operations there. A few days later the Houthis announced a halt to missile and drone attacks on coalition leaders Saudi Arabia and the United Arab Emirates and their Yemeni allies. Intense fighting in the past two days has taken place in Hodeida mostly at night, as each side tried to reinforce its positions during the de-escalation in hostilities. “Loud bangs, shelling and gunfire could be heard all over the city until dawn,” a Hodeida resident said on Wednesday. A pro-coalition Yemeni military source told Reuters on Monday that a cease-fire in Hodeida would start only after the U.N. Security Council passes a British-drafted resolution on Yemen. Aid groups fear an all-out assault on the city, entry point for more than 80 percent of Yemen’s food imports, would unleash famine.